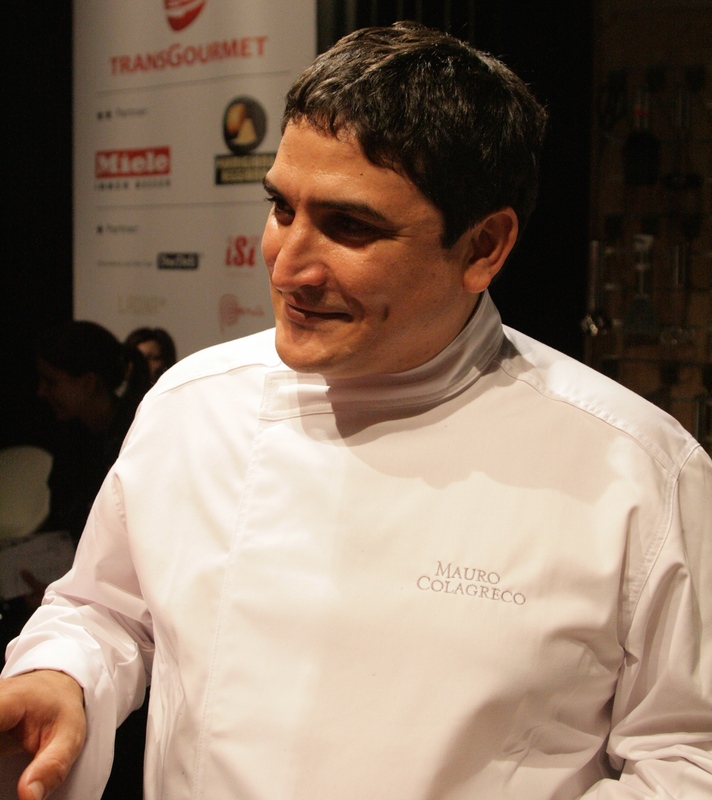 Try as I might, it is difficult to remember the last person I had interviewed before Mauro Colagreco, the Argentinian two Michelin starred chef of Mirazur ranked 11th in the World’s 50 Best restaurants and the first restaurant in France. It could easily have been a Prime Minister some 13 years ago on my last assignment as a journalist. It was a completely different world without social media, without blogs or smartphones, Twitter or Facebook, though already back then, my passion for food and wine was already becoming visible. It was therefore with a sense of trepidation that I asked Mauro to be interviewed. After all, who was I to ask one of the World’s best chefs to sit down and be interviewed for www.foodandwinegazette.com. He gladly accepted without much fanfare. “Let’s do it now,” he said without giving me any time to prepare myself. True, I had done my homework earlier with the intention of interviewing him, but still, I was offering to carry out the interview in French (my fourth language) and while I can have a conversation, I was not sure whether I could manage to interview someone. But as soon as I sat down we immediately struck a chord and found that we had a lot in common. When I asked him about the best ever dish he had ever eaten, he immediately said that if he could bring back his grandmother, it would be the ravioli that she used to prepare. But then he surprised me by adding that “for me a simple tomato with good olive oil and some fleur de sel on top is the perfect example of perfection.” Coming from Malta, just the thought of a summer tomato with olive oil and salt not only makes you nostalgic but also eager for summer to arrive yet again. I ask him how he feels about his restaurant being the top most restaurant in France in the World’s 50 Best restaurants. “This is just a classification but it makes us proud. It also means that we have a certain responsibility to make sure we live up to our name,” he tells me. This classification, he says is very important for visibility particularly since the restaurant is in a small village on the border between France and Italy so it helps to bring in people. His cuisine is unique also in view of the location of his restaurant. “Our location makes our restaurant unique. We have mountains on one side and the sea on the other. We have the liberty to travel and go to the mountains but we also have the possibility to get exceptional produce from the sea. We are only a few metres away from Italy so we can marry two culinary cultures,” Mauro says. I am curious about his creative process. “We have a garden which enables us to be as close as possible to the produce. But I say that our travels are crucial for inspiration. We get a lot of ideas when we travel. What I then do is to try to work to simplify my dishes as much as possible. Mauro learned to cook in his native Argentina though he grew up in Italy. He was always keen to travel and he set out to explore his country, Latin America and the Caribbean as he absorbed the various culinary traditions and tastes along the way. After training in Argentina, he moved to Burgundy to work with Bernard Loiseau at his restaurant in the Côte d’or. He stayed there for one and a half years. After the tragic death of Bernard Loiseau in February 2003, Mauro decided to move to Paris to work at L’Arpege, the legendary restaurant run by Alain Passard. He stayed there for a year and a half and he considers this time as the one which allowed him to develop his own sense of creativity, attention to detail and imagination. When I ask him who inspires him most he says without thinking that it is his children. “They are indeed my inspiration. Being around young children is a constant source of inspiration and creativity,” he says. “If I have to choose a person in our industry, then it would be Alain Passard. He clearly left the biggest mark on my career,” Mauro says. Mauro also worked with Alain Ducasse and Guy Martin before taking over the Mirazur restaurant in Menton. “My style of cooking and my vision is to bring the best out of exceptional produce. I am lucky that in the area where my restaurant is, the produce is magnificent,” he says. The Argentinian chef said that he tries to follow the seasons not only for vegetables but also for fish and meat. “We try to work in close proximity to nature as much as possible,” he says. He believes that the food industry needs to work differently. “We need to stop and think. This is why a few months ago I presented a dish called The Chicken that has lost its head. Unfortunately, most children do not know what a chicken is. They have never seen a chicken running around in a field. They have never seen a chicken with its head and feet in a supermarket. In my view we have lost the sense of sacrifice. You really need to know where the food is coming from,” he says. Given he is speaking about the heart of food I ask him about what he thinks about food waste. “There is a lot we can do. In a sense, it is for this reason that I am presenting three dishes at Chef Sache which use collagen. In industrial fishing, many fish that are caught are thrown back to sea dead because they are of no use. I think this is unacceptable. All these fish can be reused because they are full of protein. They can be reused as gelatine which has such a pure flavour and is 80% protein,” he says. When I was preparing for the interview I looked at his website and saw the restaurant with a magical view of the Mediterranean and the beautiful village of Menton (see photo). I knew that I had to visit the restaurant. After speaking to Mauro Colagreco and watching him at Chef Sache, I know this is a must visit.